So things have been a little slow around these parts since Saturday night. The reason? Well, real life is taking its toll this humble blog, but that's nothing new. 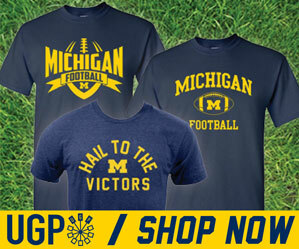 But for many reasons, I am finding it hard to come on here and try and make lemonade out of yet another Michigan loss. For so many losses over the last 3 years, this one probably is the most disappointing. And that's really saying something...we've had some seriously disappointing losses. The loss to Michigan State this year, and the loss to Iowa the week after, at least you could day that both of those teams had the edge on us. They played better defense, played more physically on offense, and the special teams play was better as well. But leading into the Penn State game, I think most Michigan fans had the confidence that we'd be able to escape Happy Valley with a win. After all, Penn State is having a down year, they were starting a sophomore walk-on QB, their defense had been victimized by almost everyone they've played. Things couldn't really get much better for us. If we were going to win in Happy Valley at night, this was going to be the year. And then the 1st half started. We went 3 and out to start the game. Our first defensive possession ended in a long sustained Penn State drive that resulted in a touchdown. They didn't trick us, didn't do anything fancy, just ran the ball well, blocked well, passed well...and capitalized on simply terrible Michigan tackling. By halftime, we were down 28-10. You just can't spot Penn State an 18 point advantage, at home and at night, and expect to win. The result of this loss however, leaves even the most level-headed Michigan fan wondering if Rodriguez is really the man for this job. He's 4-16 against the Big Ten in 3 seasons. He's shown time and again that, against even mediocre Big Ten teams, that he can't get the job done. I know there's an argument to be made that we're very young and inexperienced (especially on defense), but at what point does it go from lack of experience, to lack of coaching ability? Folks who follow us know that I have always been a staunch supporter of Rodriguez and his staff. Through the 5-game losing streak last season, to all of the the NCAA violations, I have stood by this embattled coach. Was it foolish? Was I seeing at all through rose-colored glasses? Maybe. Even in 2008, I thought it would all pay off. I thought the embarrassing losses to Ohio State, Penn State, Michigan State, Illinois, Toledo...I thought it would end up paying off for us down the road. But after two more years of struggling ineptitude, the only thing I am seeing is a shift in the traditionally winning culture at Michigan. 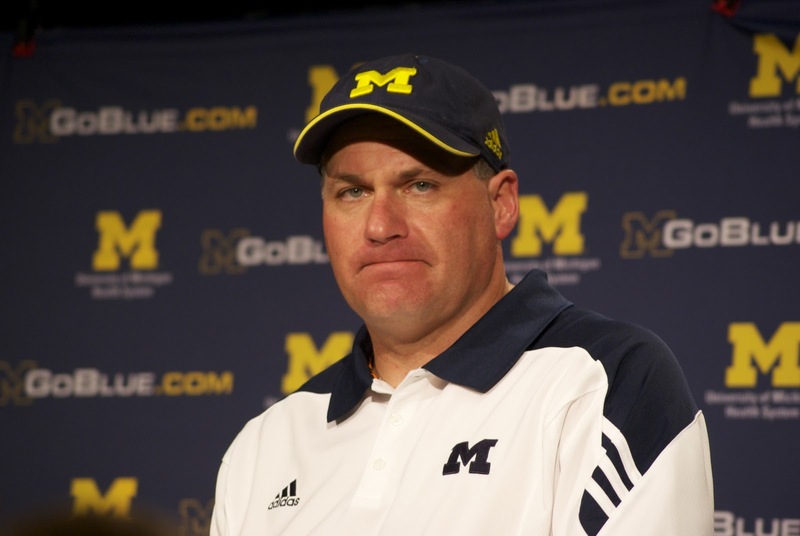 Rich Rodriguez has created a losing philosophy at Michigan. No longer can we go into a game, even against a team like Illinois, and expect to win. Every team we play has a tactical advantage on us. Why? Because they see us a wounded and vulnerable program. People compare us to Notre Dame, and I can't refute that. Sure we've had their number the last two years, but who cares? When you beat a terrible Notre Dame team by 4, and then lose to every meaningful conference opponent, what's the difference? Coaches at Michigan are not judged by how well they recruit, how many times they beat Notre Dame, or how many MAC teams they can beat. They are judged by how well they play in the Big Ten. That's the same for any other coach in this conference. Is it fair? It doesn't matter, that's just how it is. And until Rodriguez can win in the Big Ten, he will continue to suffer the pain and anguish associated with losing. Fire Greg Robinson, don't fire him...it doesn't matter. The buck ultimately stops at Rodriguez. He must fix what is broken. He must do it now. Because the way things are going, there will not be a "next year" to figure it out. Sorry Dustin. I feel your pain. Hang in there, the season's not over. 4 more games to see how this all plays out.